These crystals are amazing and show off some of the most interesting qualities Quartz crystals can embody. They are naturally double terminated, contain carbon (making some area look dark), grow in scepter style, contain multiple en-hydros (water and air pockets), self healed, etc.. 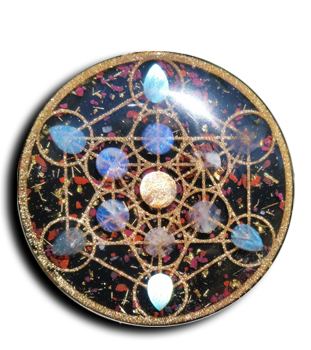 They are also excellent for making orgone with because they are naturally double terminated. The small size range from 1/4″ – 2″ long and 1/4″ – 3/4″ wide. Soime of these crystals have rough edges and fractures, nearly all have one intact point. Tibetan Quartz Crystals hold sacred energy frequencies and the wisdom of the ancient culture. They have been used to promote contact with the ancient cultures of the East, bringing knowledge and information concerning healing and spirituality to the user. This crystal can be used to enhance, amplify, and intensify transformation, releasing self-limitations, disease and disorders. Tibetan Quartz Crystals gather, hold and release a very high energy and tend to contain a very powerful “OM” vibration. It is also an excellent enhancer and activator of other crystals.